Late October is a time for devils and goblins, horror movies, tricks, and treats. If you’re a Lewis reader, you may spend time in The Screwtape Letters as a way to usher in All Hallow’s Eve, as well as the more important, All Souls’ Day. I picked up the masterfully annotated edition of Lewis’s book that HarperOne released a few years ago. Have you ever wondered if the patient in The Screwtape Letters could actually see Bus #73 from the British Museum? Remember? It’s when Screwtape distracted him away from his curiosity toward the things of God. How about the name Wormwood? Is there a reason for it? Sole colbert. Do you know what it is? I learned it’s a fish dish named after a member in Louis XIV’s court. Screwtape brings it up in a list of possible indulgences in Letter #17. It’s wedged between tea and cigarettes. Fun trivia. The annotated edition of The Screwtape Letters is wonderful–and not only for the triviality mentioned above–but also because it does what the introduction says it would do: (1) it places the author’s work in its historical context; (2) it helps to illuminate themes and ideas that would be explored in other works by Lewis; (3) it helps an American audience, especially, realize the meaning of English phrases or words that are not common–then or now–in the States. The introduction is humble. I think this edition provides much more. 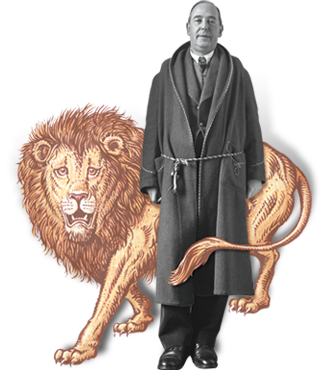 I want to add three additional reasons: (1) the pointers to Scripture and the references to Anglicanism; (2) the careful citing of literary works that Lewis gleaned from or mentions in passing; (3) the many references that point to Lewis’s other works and letters, which help to round out the idea in Screwtape. “The real trouble about the set your patient is living in,” writes Srewtape in Letter #25, “is that it is merely Christianity.” Mere Christianity would be published in 1952, adapted from BBC radio talks from 1942 and 1944. 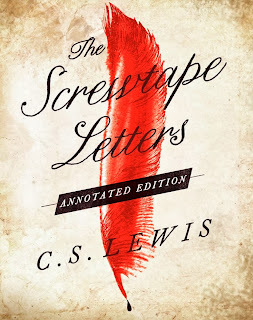 The annotation says that the term mere Christianity can be attributed to Richard Baxter who wrote, “I am a Christian, a mere Christian, of no other Religion; and the Church that I am of is the Christian Church.” In the letter, Screwtape takes up that exact charge. If Christianity can be “Christianity and” then sufficiency is done away with, being replaced by the need for shifts and changes in order to find contentment. So much is compressed into this edition, with the annotations nicely placed in red alongside Lewis’s text. I encourage you to pick up this edition whether you have Screwtape or not. It’s a nice way into other authors, Lewis’s writings, and most importantly, the Bible. Here’s where to get a copy. And about sole colbert: it’s for the upper echelon, and Lewis uses it to reference the delicacies that the demons discuss to tempt their patient into putting on heirs. This entry was posted in Zach Kincaid and tagged devil, Screwtape Letters.